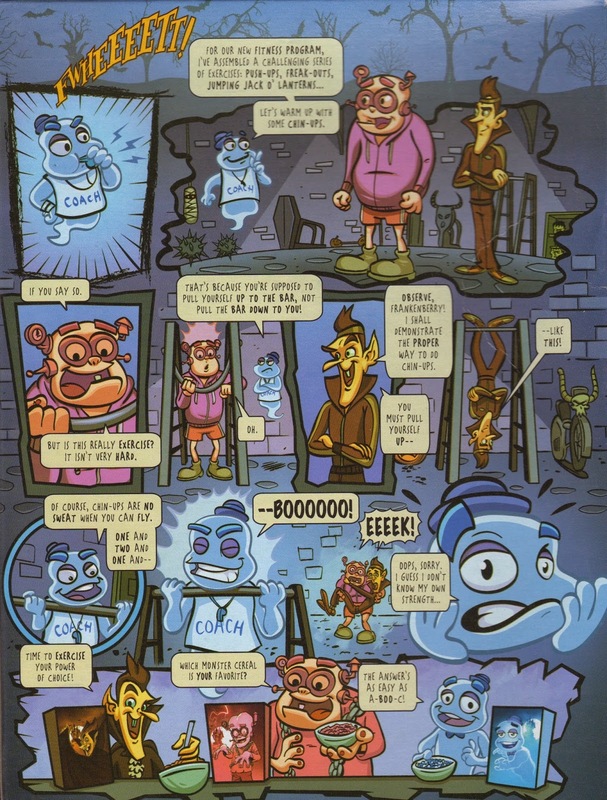 Just in time for...um...Halloween...it's a look at the new General Mills monster cereal boxes! This year saw yet another convergence of things Jeff loves, as folks at DC Comics redesigned the three main monsters for the 2014 Halloween cereal line. The front of the three boxes was drawn by a DC staffer: Dave Johnson drew Frankenberry, Jim Lee drew Boo Berry and Terry and Rachel Dodson did Count Chocula. 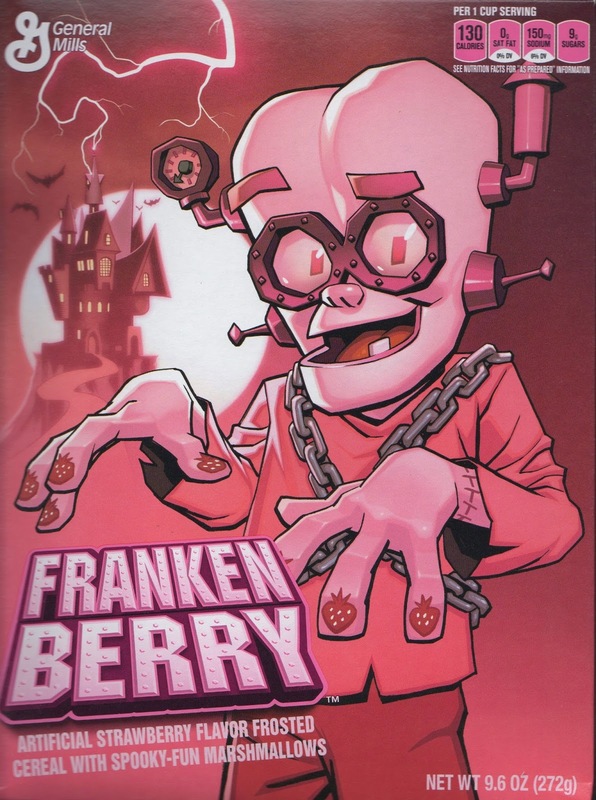 I am biased, of course, but I will say that Johnson's Frankenberry was the best of the bunch, even though none presented any major changes to the characters. Target once again sold retro boxes. These ones were my favorites, as they included cut-out Halloween masks on the back, but I had to get a few of the regular design to check out the artwork. 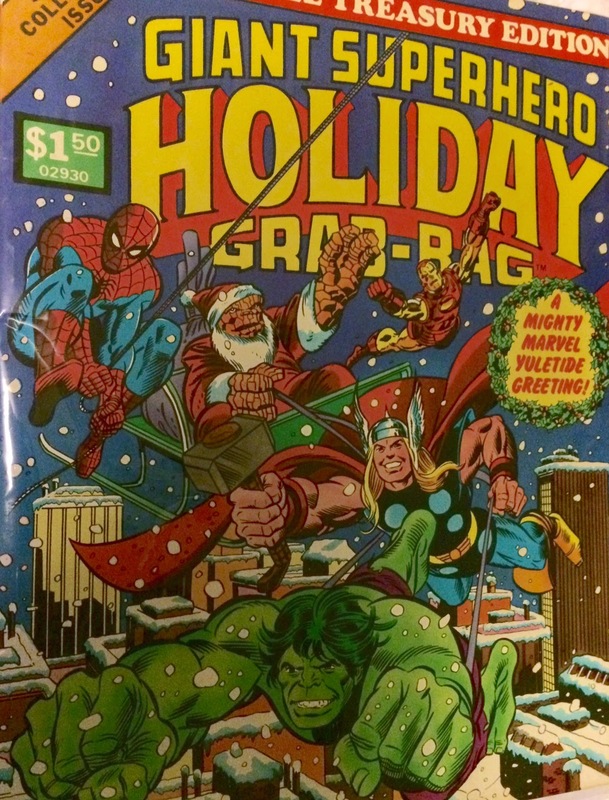 And as in years prior, the regular boxes featured brand new comics. ...and here's the Count Chocula comic, which I didn't buy but took a picture of in the store. It apparently includes some references to Twitter in it. 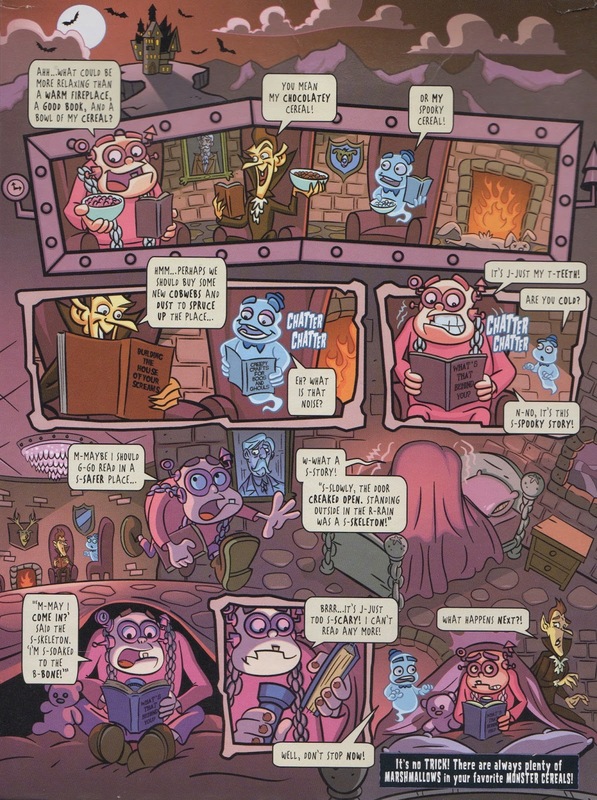 Each of these comics looks to be drawn in the same style. I didn't recognize the artists offhand, but DC's press release names them (what a novel concept) as Sholly Fisch, Brent Schooner and Dave McCaig. It's a pretty good step up from what General Mills has done in years past. And, of course, the cereal is friggin delicious. If General Mills is looking to expand even further on their comics theme in the future, let me suggest including a mini comic book in each box for 2015. I'll write it. Please let me write it. In other Halloween news, my nephew dressed up again in superhero gear. he actually got a Hulk costume for the big day, but here's a picture of him trying on the top half of my Comic-Con Superman outfit. 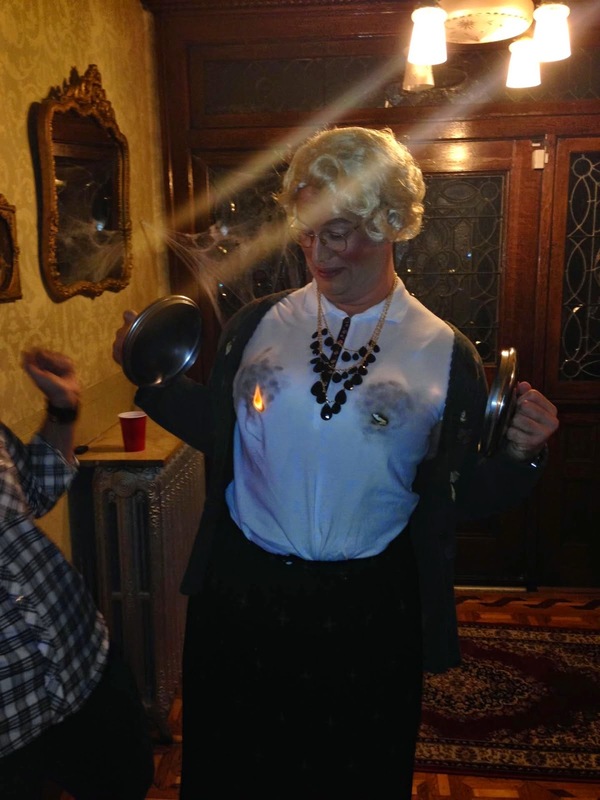 And Larry...went as Mrs. Doubtfire, interestingly enough. My students draw the Hulk...and everyone else...poorly. A couple students showed that they have more than a cursory knowledge of comic book characters and chose Green Lantern as their green superhero. Someone drew this fairly impressive Super Grover, though why they chose a blue character for a green book is beyond me. 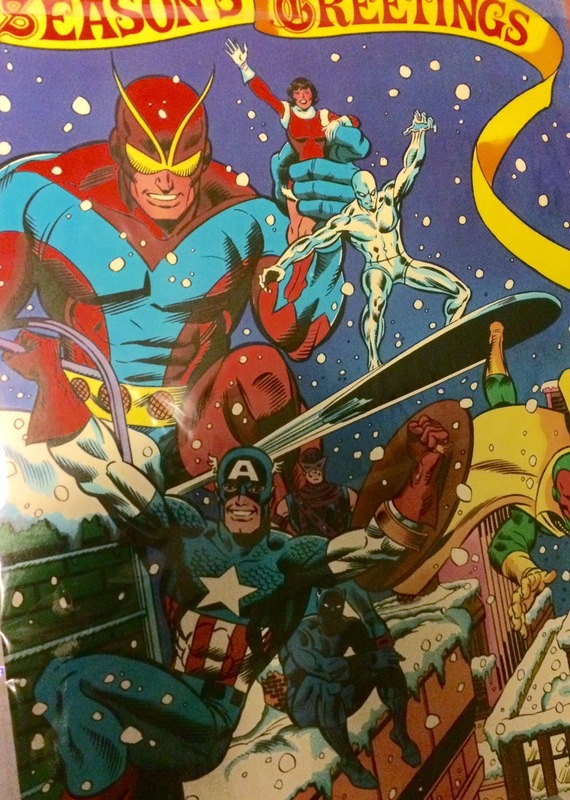 This terrible Captain America is actually drawn on a blue book, but for whatever reason, the light blue covers always come out looking a pale green in pictures. Extra points for putting Cap next to the "American Made" logo. This Superman was probably the best drawn out of all the submissions. Now if only it was on a blue book and not a green one. Whatever. No, student, he's not. You are a liar. 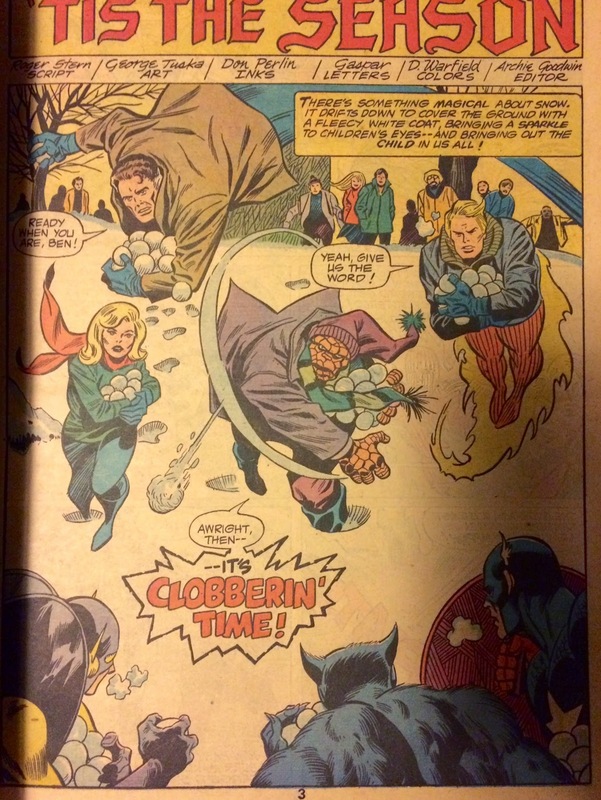 And this one is on a blue book with the title "Marvel". Could it be the Blue Beetle? It kind of looks like Night Owl from "Watchmen". But who knows. And this blue book has a drawing of...could it be The Tick?? Maybe? Perhaps we'll never know. We all know that blog friends are real friends. So Merry Christmas to one and all. 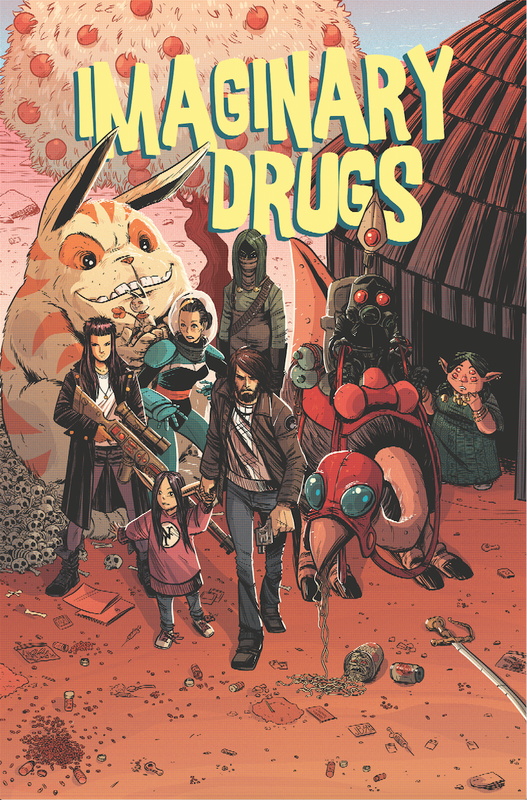 Pre-order IDW's "Imaginary Drugs" now! Well, that was a lengthy break I took from this blog. Not because I don't love you, blog...don't ever say that. But I am back with good news! The Imaginary Drugs anthology will soon be released by IDW, and you can pre-order it now! I am, of course, very excited that the book will have such a high profile. 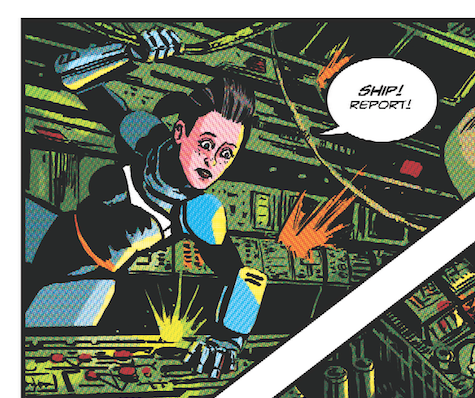 What started out as a moderately successful Kickstarter campaign has become a full-fledged wide-release graphic novel. 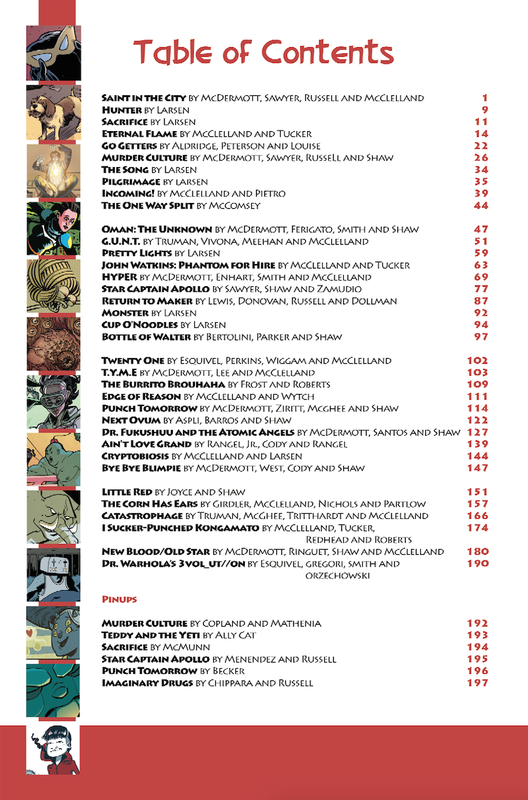 Not only that, but I was able to jump on as an assistant editor, which means I get to do things like slave away at a table of contents page design. Above is a shot of it, and you can see my name pop up every so often in the midst of some other really talented creators. "Eternal Flame" with Paul Tucker! "Teddy and the Yeti" (perhaps you've heard of it) with Pietro! And as a special exclusive story to the IDW release, "The Corn Has Ears" with friends Lauren Girdler and Ian Chase Nichols! Lauren, of course, is a Franks and Beans alumni! 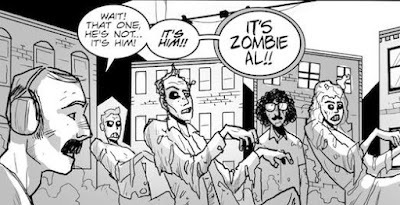 And Ian drew a backup story in the 2014 Tick FCBD issue. Also joining me on some of my stories is Duane Redhead, Mario Wytch, Rafer Roberts and Christine Larsen! If you'd like to order this book (and that'd be great), you can do it in one of a few ways. First, you can go to your local comic shop and use the code NOV140515 to have them reserve it for you (or just ask for it by name). Second, you can pre-order the book on Amazon right now by clicking here. I hope the book is well received. I know that everyone involved put a lot of work into it. I'll post again soon. Perhaps it'll be more Comic-Con pictures. You never know!